In humans, age-related changes in the myocardium include increases in vascular intimal thickness, vascular stiffness, left ventricle (LV) wall thickness, and left atrial size. These changes in tissue structure and function are the result of altered expression profiles of extracellular matrix (ECM) components. While aging itself is not a pathological condition, this resetting of homeostasis sets up the LV to respond poorly to stress. 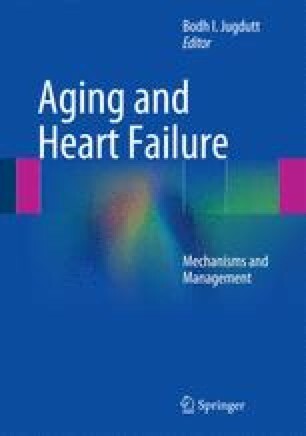 As a reflection of this, morbidity and mortality rates after myocardial infarction (MI) strongly correlate with advancing age. To date, targeting specific ECM components for therapeutic purposes has only been achieved by indirect mechanisms. This book chapter summarizes the current knowledge of ECM remodeling during aging and MI, focusing on mechanistic insights that may reveal avenues to explore for therapeutic potential.